Boracay is a small island in the Philippines located approximately 315 km (196 mi) south of Manila and 2 km off the northwest tip of Panay Island in the Western Visayas region of the Philippines. Boracay Island and its beaches have received awards from numerous travel publications and agencies.The island comprises the barangays of Manoc-Manoc, Balabag, and Yapak municipality of Malay, province of Aklan. The island is administered by the Philippine Tourism Authority and the provincial government of Aklan. Apart from its white sand beaches, Boracay is also famous for being one of the world's top destination for relaxation.It is also emerging among the top destinations for tranquility and nightlife. I have been in this island for 5 times but I just keep on falling in love in this paradise. I tried staying in hotels, apartments, private house and even church here in Boracay. I also tried almost all the top food places and water adventures of this island and yet every time I'm coming back, there's always a new must-try. Having the advantage of staying in Mindoro (my homeland), I have near access to this paradise any time I want given the chance. Since I moved to Singapore for job purpose, I planned of coming back here to spend a nice vacation with my mom, so I was lucky of having the luxury of time to go back home this year and went back again to Boracay for 3 days with the most beloved person of my life. So here it goes. 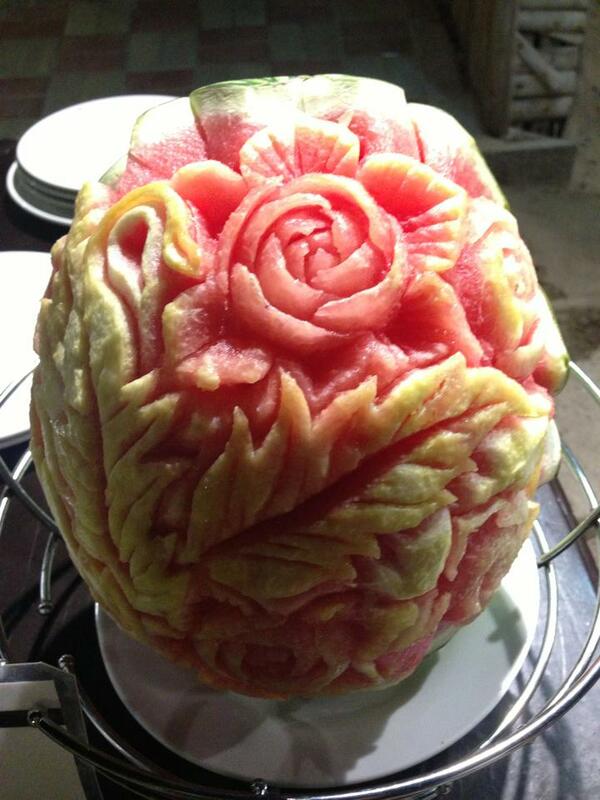 Watermelon with a twist. Amazing food presentation! Enjoy good Filipino food! Dencio's Tagaytay set the trend in the bar and grill restaurant, pioneering well-Pinoy grilled dishes that were wildly popular in get togethers among barkadas, officemates & families. Dencio's is the perfect setting to unwind after a hectic work schedule or when family or friends crave for some good old grilled favorites. 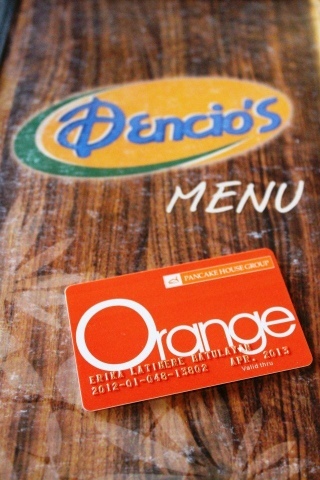 Dencio's Tagaytay Menu & Orange Card great for discount. Instagram has been part of my personal photo diary this year as it highlights my passion & interest in life from food, fashion and travel. So I decided to have a monthly blog post of my Instagram photo diary. So here's my first one. 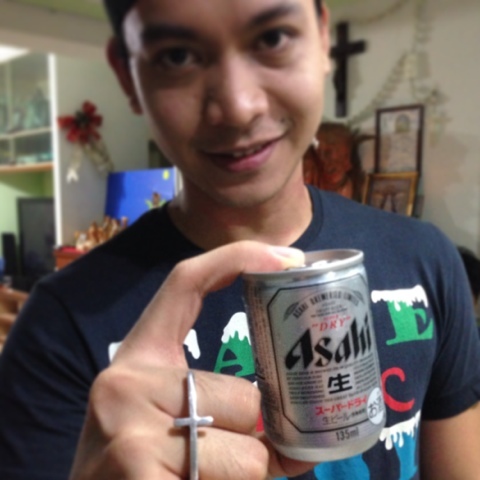 Asahi beer to welcome the year 2013. The City of Tagaytay in one of the country's most popular tourist destinations because of outstanding scenery and cooler climate provided by its high altitude. It has a high standard of living. Tagaytay overlooks Taal Lake in Batangas and provides on e of the iconic views of the Philippines, the view of Taal Volcano Island in the middle of the lake, viewable from several vantage points in the city. Tagaytay is relatively close to the capital city of Manila, only 55 km away providing an easy escape for the locals from the heat of the big city. The best way to enjoy any Tagaytay trip is simply to have a "JOY RIDE" with barkada/family. Luckily we had an SUV from a friend that took us around 30-45 minutes from AUP. Our first stop was Starbucks Tagaytay which I considered the best coffee shop location overlooking Taal Volcano while enjoying your cup of coffee. We went few meters away to an area popular for taking photos of the Taal Volcano scenery as your backdrop. Since I was craving for Filipino authentic cuisine, we decided to have our early dinner at Dencio's Tagaytay. 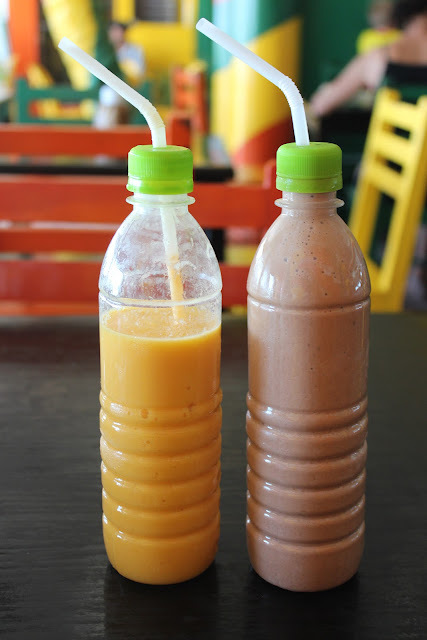 It is located at Emilio Aguinaldo Hi-way, Silang Crossing West, Tagaytay City. Dencio's menu consists of Appetizers, Soups, Favorites, Rice & Noodles, & Pork/Chicken/Vegetables dishes. This restaurant was memorable for me since most of major ocassions back in my university years happened here. What I liked in Dencio's was the wide arrays of Filipino food options on their menu so its like a one-in-all stop if all you want is to satisfy your cravings for all-pinoy food cuisine. It's best to try their kare-kare, crispy pata, sisig & bulalo. For desserts, have a try of their halo-halo, leche flan & turon de sorbetes. After our happy tummy episode, we decided to went straight home to continue our bonding escapade in Nuvali Sta.Rosa which is one of the latest tourist attraction around the area. Meeting Place: Adventist University of the Philippines (AUP). It's been a long time since I had my last blog post. Getting a new job and spending a week vacation back to Philippines made this month a hectic one for me. But I'm quite excited for a numerous line-up of blog topics I'm gonna share with you all so for now let me share this fashion outfit I had quite sometime last month. This look was inspired by the era of Christian Grey popularity. I am recently in love with shirt/ top in shades of gray color. It always give an impression of a relaxing yet stylish look for any casual getaway. Just want to share with you all my friday escapade with friends on how I spent the first day of March in this latest attraction in Singapore, the Gardens by the Bay.